Orange County is a popular destination for those looking for premier Senior Community Homes ( communities with a resort-like active lifestyle to those age 55 and above). There is an abundance of activities for retirees in The OC. With some of the most beautiful beaches near by, there are several beautiful retirement communities with something for everyone in South Orange County California. Examples are: Casta del Sol and Palmia, in Mission Viejo,San Clemente has 'The Gallery' in Talega, Corona del Mar has the Terraces and of course, there's Laguna Woods and the multiple options there..
Search all Orange County Senior 55+ Community Homes currently available for sale, listed in the MLS including short sales and foreclosures. For more information about any of the homes, call us at (949) 888-6788 or contact us via email. 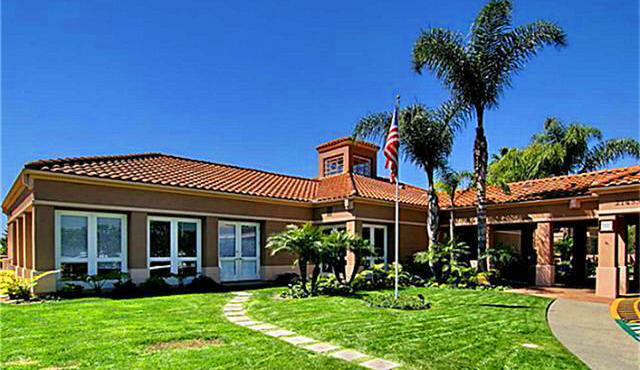 Read more about the Orange County Retirement Homes in Senior Neighborhoods. There's different neighborhoods of active adult communities for those 55 and older in Orange County, and they differ in price range, location and amenities included. The two senior neighborhoods in Mission Viejo, Casta del Sol and Palmia, have real estate options of condos and single homes. Both neighborhoods also get the Lake priviledges as being in Mission Viejo, so not only the residentes get all the benefits of living in an active adult community, but also enjoy the many activities through out the year that the Lake Mission Viejo hosts. San Clemente Senior neighborhoods enjoy the wonderful climate and close proximity to the beach (The Colony is even walking distance to the beaches in northen San Clemente), and offer multiple activities. OCExecutives specializes in real estate transactions of Orange County California Senior Community Homes. Contact us today to sell real estate or buy real estate in the different Orange County Senior Communities or for more information about any of these Active Lifestyle (55+) homes. If you would like to see a list of homes in other communities in Orange County, follow the links above, or click here for other Orange County Real Estate options.